Whether adult or child, beginner or expert, there is an instructor or guide for every level. The following companies are based in Châtel and offer group or private ski and snowboard lessons as well as guiding. Pre-booking is recommended to secure your preferred time. 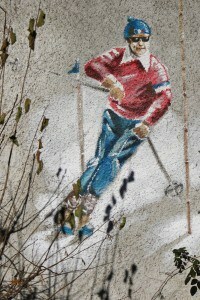 Based in the centre of the village, ESF provides ski and snowboard lessons from the age of three and above. Both group and private lessons are available with a number of instructors speaking English. ESF lessons are from the top of the Super-Chatel lift or Pré-la-Joux dependant on the time of year and level. Small groups are taught by a British team of native English speakers with a maximum eight in a group and private lessons available. Children's lessons are from the age of 5 and upwards. The meeting point is at Pré-la-Joux at the bottom of the Pierre Longue lift. This friendly and fun multi-lingual team are based at Pré-la-Joux. They have been operating for 30 years offering lessons in snow sports including ski, snowboard, telemark and cross-country. Children's ski lessons start from the age of 4, with both children's and adult private and group lessons on offer. They also run guided day tours and guiding tailored to individuals levels and interests. A small and flexible ski company providing ski tuition and guiding around the "Portes du soleil" skiing area. They are available for private, family or mini group tuition from half days, full days or the full week. English speaking, but keeping the French touch. SkiHire2U provide top quality ski and snowboard hire. Your boots are delivered to La Grange au Merle when you arrive at the chalet and personally fitted. Any alterations are made as well checking stance, weight distribution and forward lean. The skis are then fitted to the skis in accordance with your level and ability, including the type of skiing you will be doing. Customers with special requests are also taken into consideration to ensure the boot and ski matches exactly to your requirements. Skihire2U are fully trained advanced ski and boot technicians to ensure you get the very best. 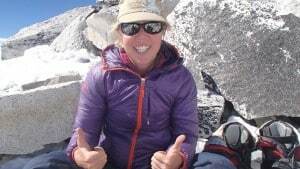 Tanya Perret is an English speaking International Mountain Leader / Accompagnateur with over 18 years experience. Private Guiding When you would prefer to be on your own, with a partner, friends or part of a discrete group, private guiding offers you numerous benefits. Bespoke trips are designed that meet your requirements. We choose hikes that best match your aspirations and allow you to visit some wonderful, magical locations. The benefits include flexibility, not feeling under pressure, relaxed pace and attention to detail. Family groups are welcomed. Snow Shoes Tanya arranged a great fun snow shoe treck through the pine forests for us and our three young children. We might not have gone far but the children had a fabulous time clambering over the snow in their new 'big feet'! La Grange au Merle offers discounted rates for ski passes. There are a wide range of ski pass options to accommodate the vast area of the Portes du Soleil ski area. The prices vary with coverage, duration of the pass and season. There are also rates for family passes or pedestrians. To view the published undiscounted weekly, daily, half day and hourly rates are available here. Based in Châtel, Magic Transfers offer a high level of service to all its clients, taking the stress and hassle out of getting to and from your chosen destination. All of the airport transfer vehicles are fully insured and equipped for snow driving with child seats and boosters available on request. The English speaking drivers will meet you at the airport arrivals area and transport you direct to the chalet. Silke has taken some great photographs in and around the chalet as well throughout Châtel and has been kind enough to let us use some of them here in our site as well as in our marketing.